In The Sky The Sun Breaks Through The Clouds. 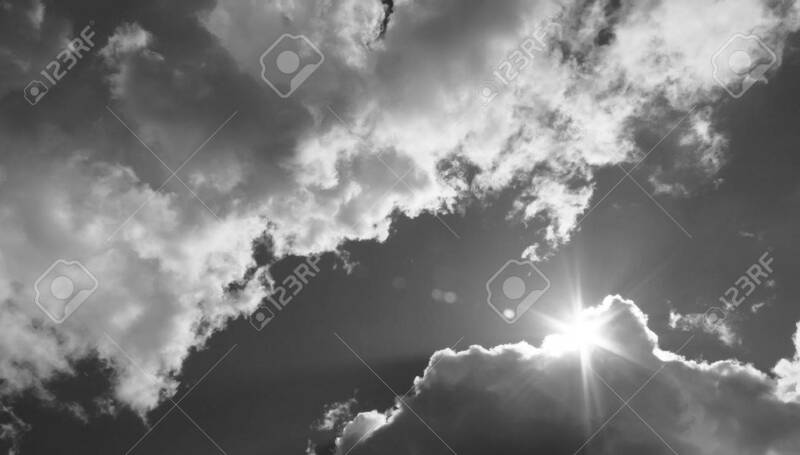 Black And White.. Stock Photo, Picture And Royalty Free Image. Image 48742974.